Jonjo O’Neill junior continued what has been a memorable spell in the saddle with a notable Saturday double at Newbury through Annie Mc and Chic Name. After celebrating his first Cheltenham Festival winner last week aboard Early Doors, the 21-year-old teamed up with his father, trainer Jonjo O’Neill, to take the Grade Two EBF & EBA Mares’ “National Hunt” Novices’ Hurdle Series Final with Annie Mc and complete his first ever double. Although returning a beaten favourite at Exeter on her most recent start, the five-year-old, who was sent off at 8-1, bounced back to winning ways when cruising to victory by eight lengths over the running-on Sixty’s Belle. The winning rider said: “I’d say riding a winner at the Cheltenham was the biggest day, but that completed my first double today. It has been a great day. O’Neill senior added: “We’ve no plans, we might look at Punchestown, but she has been busy so maybe we will leave her off. She might go chasing next year. Chic Name ended a recent spell in the doldrums with a gutsy success in the Insure With Be Wiser Handicap Chase, setting up a possible trip to Sandown for a shot at the Bet365 Gold Cup. Trainer Richard Hobson said of the 9-2 scorer: “We left the hood on far too long. He was almost sulking in his races on his last few starts. “Jonjo gave him a cracking ride and that did the business. I was gutted he didn’t get in the Cross Country Chase at Cheltenham, but that was compensation today. 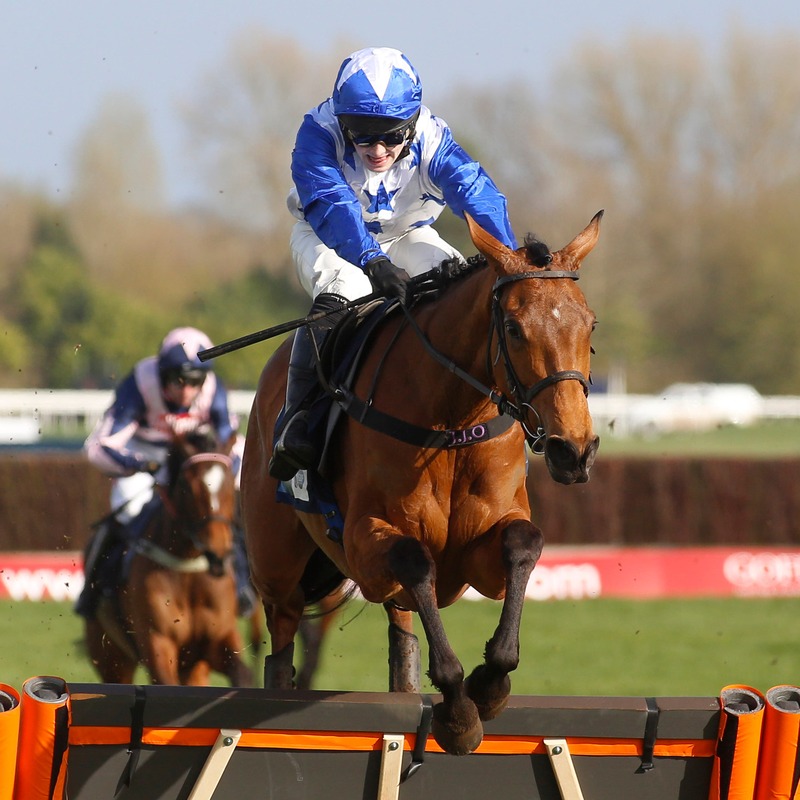 Neil King equalled his best seasonal total of 34 winners after The Knot Is Tied finally got his head in front in the Be Wiser Insurance Juvenile Handicap Hurdle. Having finished second on his three previous starts, the four-year-old appeared to appreciate the step up in trip as he got the better of a late battle with Legal History, to give King his first winner at the Berkshire track in more than 10 years. King said of the 11-2 winner: “It was getting to that time of year where it needed to be a big prize that he won and not just an ordinary juvenile hurdle. “He has done nothing wrong at all. He ran third here first time out and has been consistent all the way through. “I blame myself last time as all he does is stay and gallop and I told Bryony (Frost) to make plenty of use of him and he just got caught on the line. Richard Johnson backed up success on The Knot Is Tied to make it two doubles in as many days at Newbury after Gala Ball (13-8) went on better than in the 2017 renewal of the Doom Bar Handicap Chase, denying Valdez by a length. Winning trainer Philip Hobbs said: “I am really pleased. He is a horse that wants ground a bit softer than it is at this time of year. I thought the mistake he made at the cross fence was because he was feeling the ground.